Photo by: Montgomery County Police Dept. SILVER SPRING, Md. 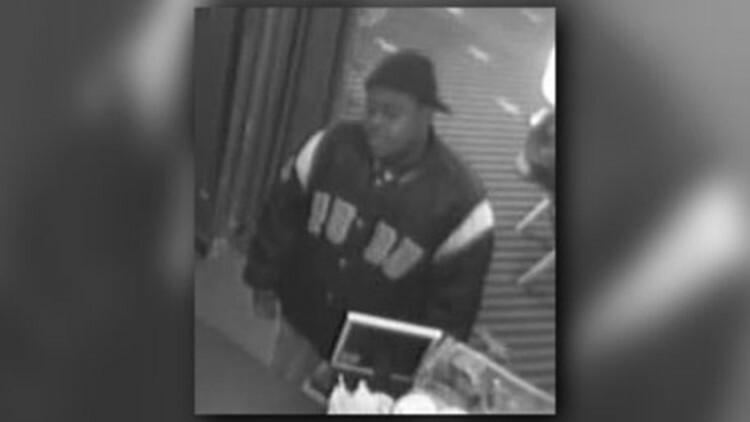 — Police are searching for the man who exposed himself to a theater employee in Silver Spring. Montgomery County Police Department released a photo of the man on Friday asking the public's help in identifying him. Around 1:30 p.m. on March 8, police said the man entered the AFI Silver Theater and Cultural center in the 8600 block of Colesville Road. The man went up to a woman working in the cafe area and began talking to her. Then he inappropriately touched himself according to a police report. Authorities are asking anyone with information to call them at 240-773-6800. If you would like to remain anonymous, you can call 1-866-411-TIPS (8477). Crime Solvers of Montgomery County is offering a reward of up to $10,000 for any information that leads to the arrest of the suspect.